BrainRx Brain Training is based on the training techniques developed in the United States by LearningRx, the parent company of BrainRx. 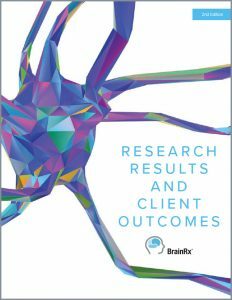 To see the kinds of results being generated at 85 LearningRx brain training centers in the United States, click on the link to download our Client Outcomes and Research Results. “It took about six months after I heard of this program to actually take the step and enroll my daughter, a step I will never regret. The homework struggle, the forgetfulness, and distractions all seem to be something from the past. At school, her teacher felt a big shift if her attitude in class. She wants to participate, she has original ideas, and her math level has risen. Last week, her dad could not believe the speed with which she was able to calculate a problem!” –Mother of a BrainRx student “Mohammed has shown a lot of improvement with regard to the following. his interest in academics has increased. he truly wants to try to work independently. he never used to remember his academics after a holiday break but this time he remembered everything. he revises constantly without fuss (unlike before). he wants to read and explain what he had read (which he wouldn’t do before). he now enjoys brain training classes which he didn’t like initially.